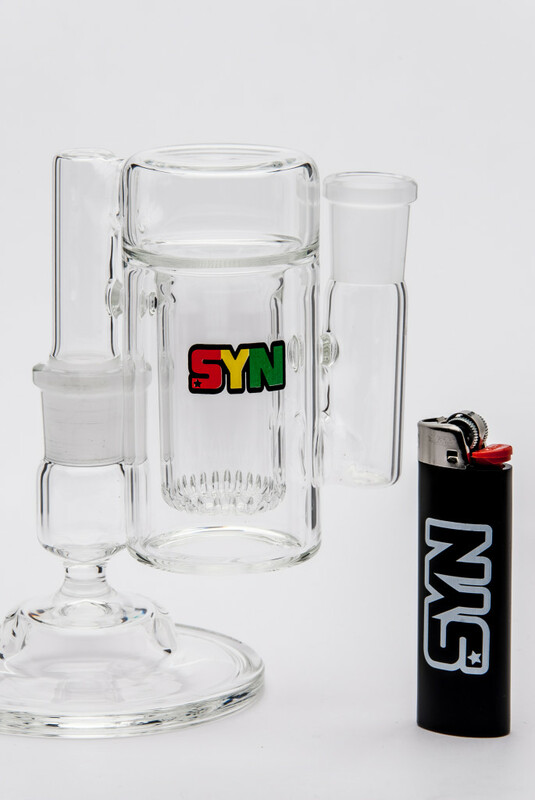 The showerhead ash catcher is our most diffusion-intensive perc. This design provides a full 24-30 cut showerhead upgrade to any tube, increasing diffusion immensely. The 90 degree design allows the AC to be turned to hug the body of your tube, keeping all weight balanced over the foot. Stand not included.